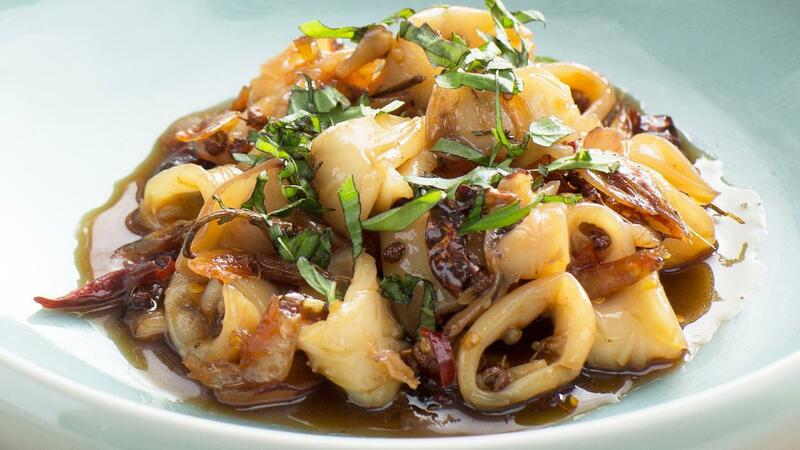 Delicate Asian inspired sweet and spicy squid. Mix soy sauce with Knorr Rock Sugar Honey and oyster sauce. Heat a small wok, add oil, toss the dried chilies, bird's eye chilies, garlic and sichuan peppercorns and dry shrimp. Pour the sauce mix. Add Knorr Tamarind Powder. Arrange on a serving plate garnished with chopped spring onions.